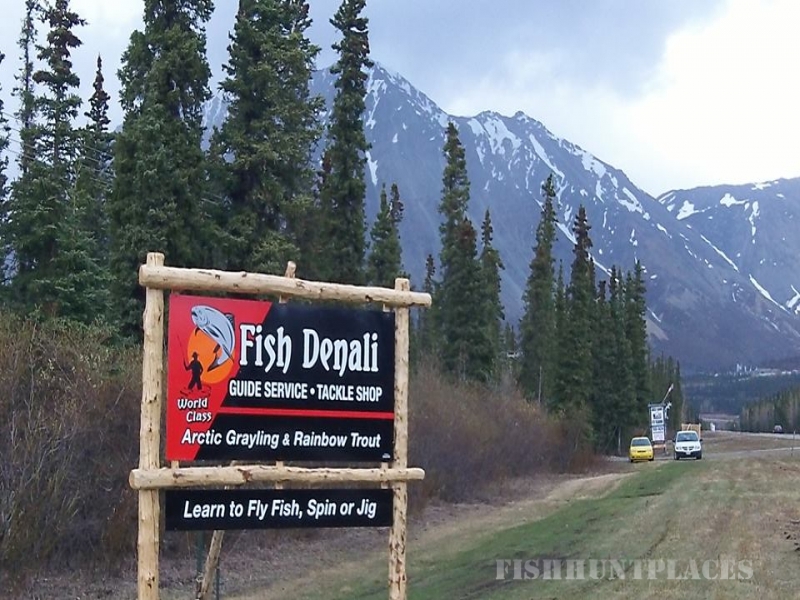 Fish Denali has been guiding Alaska’s and Denali’s visiting sportsmen since 1980, and have been awarded “Best Outfitter” for many years. 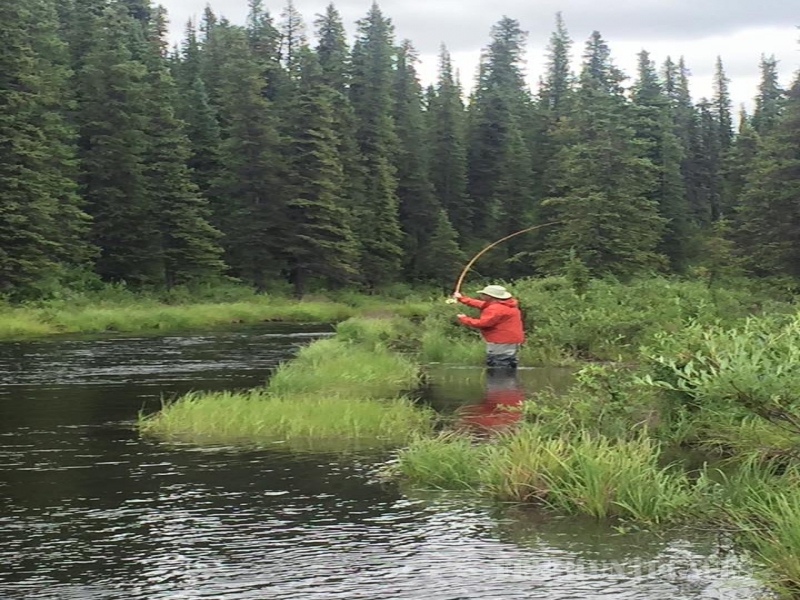 Fly, spin and jig fish at the exclusive private Chavey Lakes for trophy class Arctic Grayling and Rainbow Trout, or in our mountain streams for some fun grayling action! All anglers have a great time from the highly experienced to the beginning child. 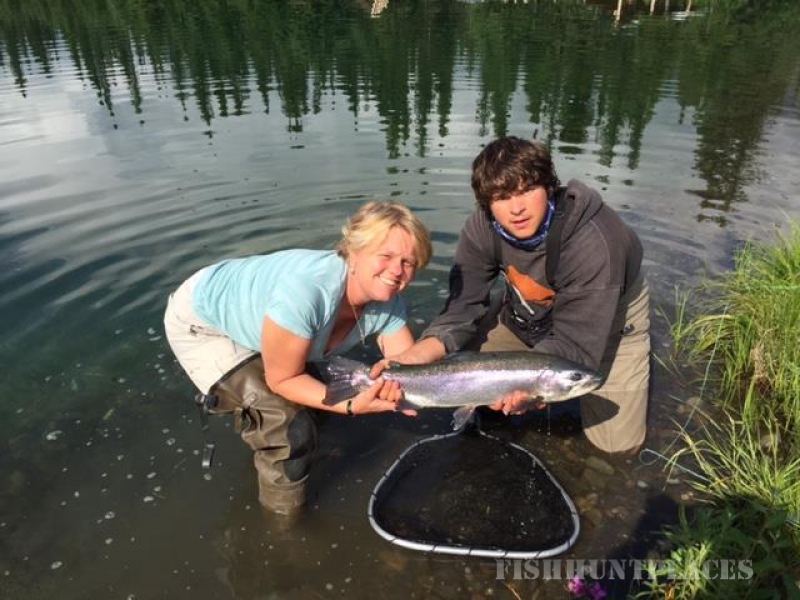 Our guides are very adept in all aspects of angling, and the best at Denali Park flyfishing instruction. 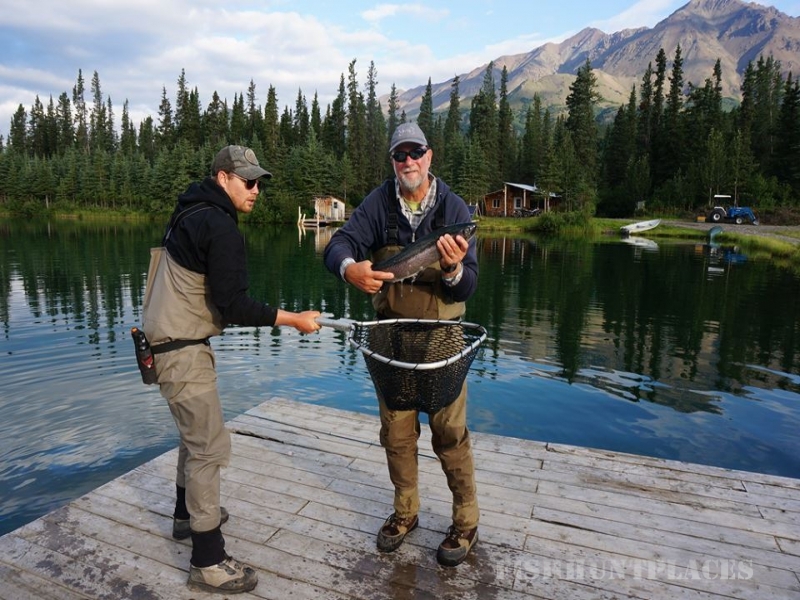 We pick you up right at your Denali Park Hotel or Lodge, provide all equipment and expertise to enjoy one of the best days of fishing you have ever experienced! Completely Private – only my guests can fish here, and the fish never leave. Managed for Fish First, Anglers second. We supplement with about 1 thousand pounds of food. This is why we have such big fish. 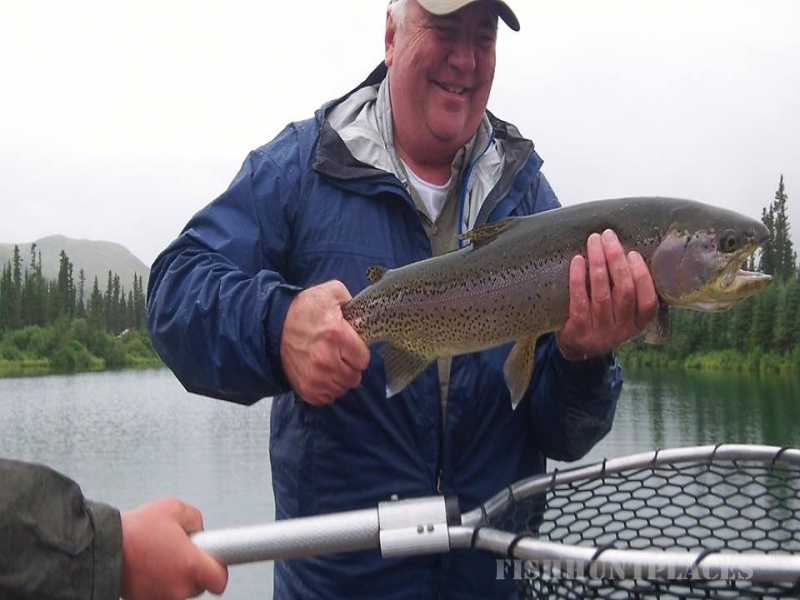 Most fish caught in 2012 and 2013 were Rainbow Trout 20″ to 30″!